Today, Sunday, June 19, 2016 is Father’s Day in the United States. Father’s Day is celebrated on the third Sunday in June every year. This is a holiday to honor fathers and male parenting and to recognize the influence of fathers in our society. We, the Colorado Traveling Ducks wish all fathers, brothers, uncles, and grandfathers a Happy Father’s Day. Father’s Day became a national holiday in 1972 when President Richard Nixon signed the holiday into law. 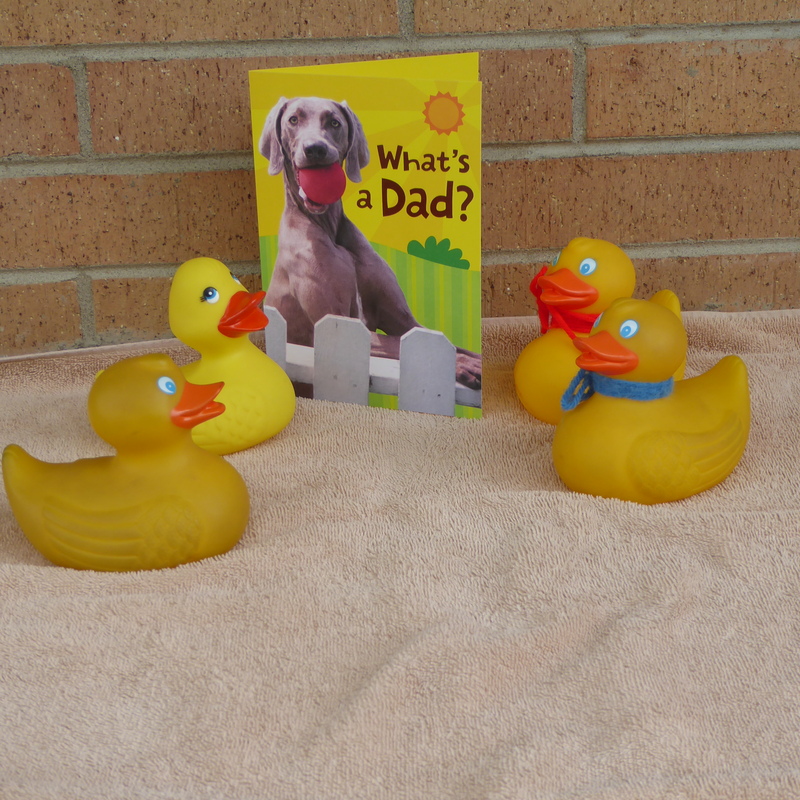 We especially wish a Happy Father’s Day to Eider Duck’s father and to JB Duck’s father. This entry was posted in Holidays, Uncategorized and tagged Colorado Traveling Ducks, Father's Day. Bookmark the permalink.